In typography, Serifs refer to the small decorative flourishes at the end of strokes. And the word “Sans”means “without” in French. So a sans serif font is one that does not have the small decorative flourishes at the end of strokes. Sans serif fonts are also referred to as Grotesque or Gothic. Compared to serif fonts that are usually considered traditional and familiar, sans serif fonts are modern and bold. So sans serif fonts are good for headlines and short copy that requires attention. Another feature of sans serif fonts is their less complex shapes, which will make less pixilation and distraction. So it displays well on computers that usually have poor resolution and they are generally the de facto standard for body text online. 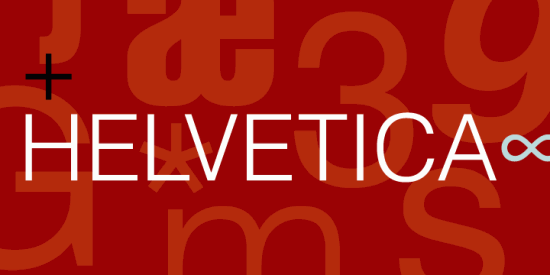 Helvetica, initially released as Neue Haas Grotesk and designed by Max Miedinger in 1957 is a typical sans serif font family. To download free sans serif fonts, you can take a look at our free fonts collection, which offers more than 20,000 fonts in different categories. If you are looking for sans serif fonts that are of high quality (well kerned, broad character support, etc. ), have a look at sans serif fonts at myfonts.com. If you don’t want the hassle of downloading and installing fonts, but just need simple designs in sans serif fonts. Check the tool below. Below is a collection of sans serif fonts. You can use the following tool to generate text images based on your selection of colors, sizes using sans serif fonts in seconds. To download the image, just right-click on the image and save. To embed images on web pages or forums, you can click on the "EMBED" button to get codes.